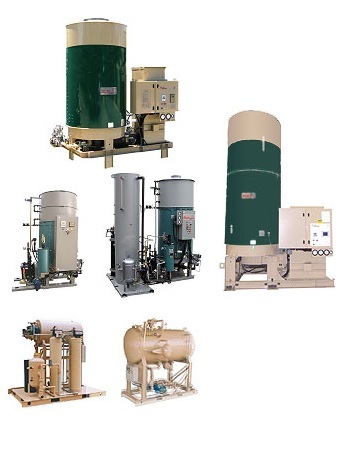 Clayton currently offers Fired Steam Generators and Fluid Heaters in 18 sizes ranging from 25 to 1000 Boiler Horsepower (245 to 9,810 kW) and 862 to 34,500 pounds of steam per hour (391 to 15,650 kg/hr). These controlled-flow water tube boilers units are built to appropriate national and local standards, using high quality materials and workmanship. Units are designed to burn natural gas, propane, light oil and heavy oil, as well as a combination of these fuels and are available with steam design pressures up to 3000 psig.